Year levels are used in the eDiary so that year specific events and announcements can be created. This means that students are only seeing the information that is relevant to them. 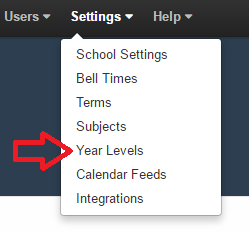 From here you can add new year levels by clicking 'New Year Level' or edit existing year levels. 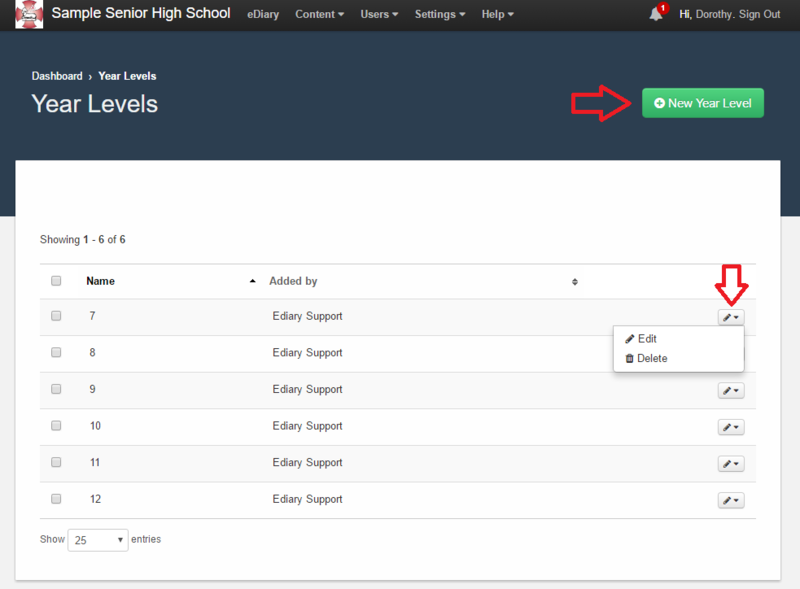 Year levels are automatically added when they are included in a student CSV import, events CSV import, or when students are added through an integration.